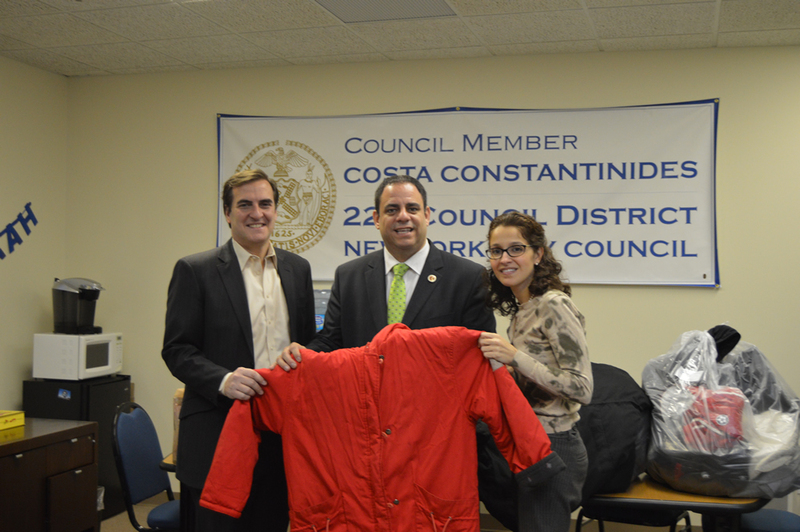 Councilman Constantinides is collecting unopened/unwrapped toys, toiletries, and winter coats. You can drop off your donation through December 15th at their office, 31-09 Newtown Ave., on weekdays from 9am-5pm. Coats will be donated to New York Cares, toys will be donated to Urban Upbound and Toys for Tots, and toiletries (toothpaste/toothbrushes, lotion, deodorant, soap, razors, hand sanitizer) will be donated to Reality House. Remember, charity for others is the greatest gift we can give ourselves.